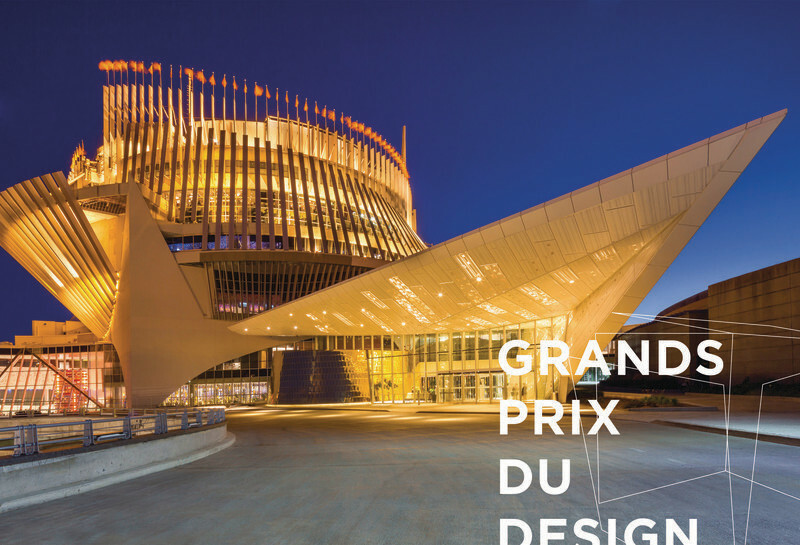 It is yesterday evening, at the Ernest-Cormier's amphitheatre in Université de Montréal, that 49 winners of the GRANDS PRIX DU DESIGN awards'5th edition were revealed among 287 projects. 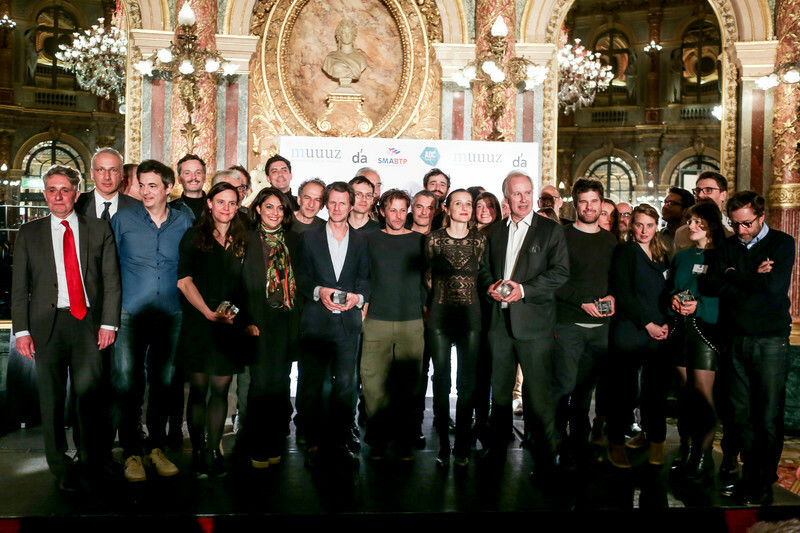 This gala also marked the launch of the December issue of INTERIEURS magazine entirely dedicated to the contest. 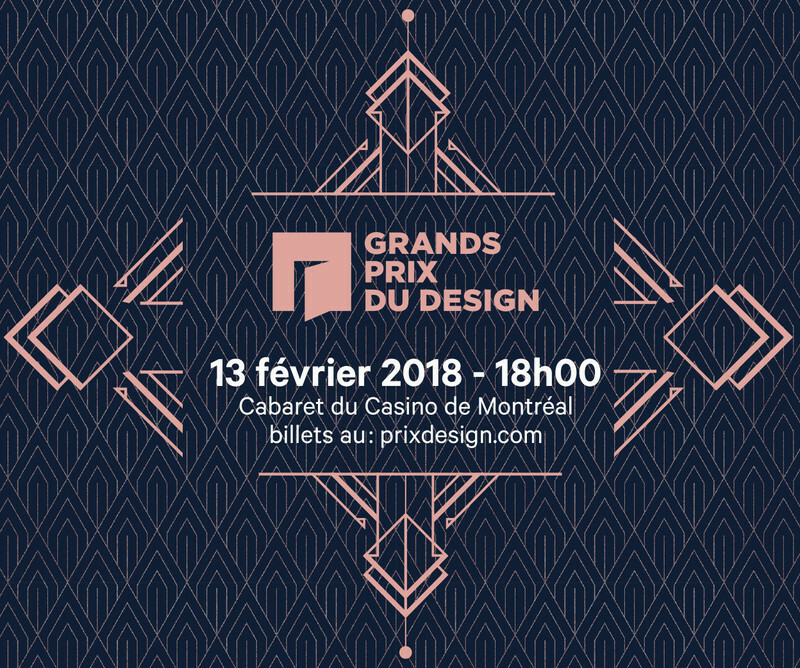 Formerly known as the PRIX INTÉRIEURS|FERDIE, the GRANDS PRIX DU DESIGN is an annual contest that aims at showcasing the talent of Quebec based designers and architects. 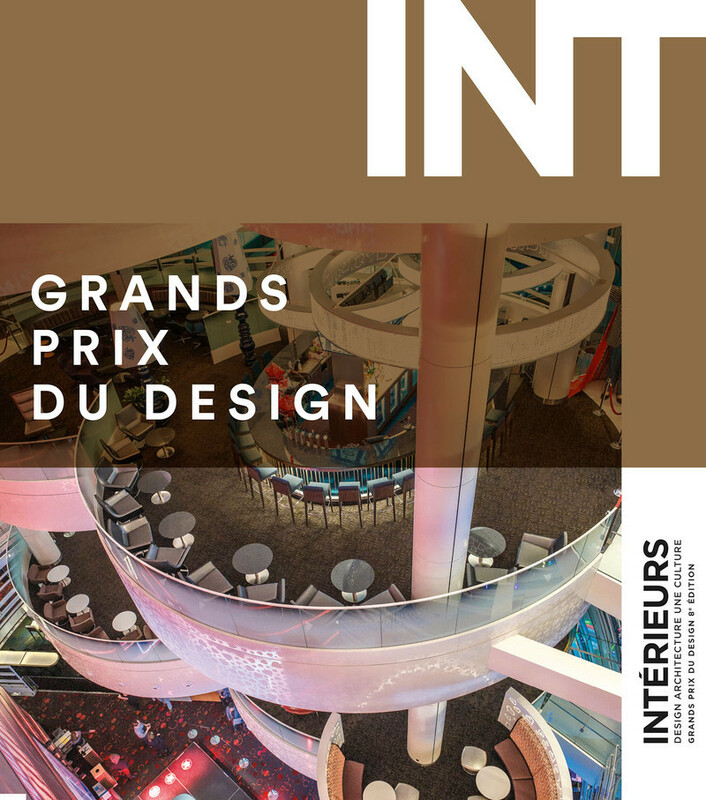 Heavily involved in the coordination and promotion of the contest, the bilingual publication INTÉRIEURS is dedicated to inform and inspire designers, architects, businessmen and women, as well as design lovers everywhere in all matters pertaining to interior and exterior design, featuring noteworthy local and international projects, and promoting local designers and their creations here and abroad. This year, members of the Jury were Ana Borallo, interior designer; Jean Couture, interior designer and teaching assistant at la Faculté de l'aménagement de l'Université de Montréal; Éric Daoust, interior designer and co-founder of Bosses Design and Le Domaine du Possible, also teacher at UQAM; Martin Houle, architect and founder of Kollectif, the only information platform on architecture in Québec, and Kathleen Lanni, interior designer. 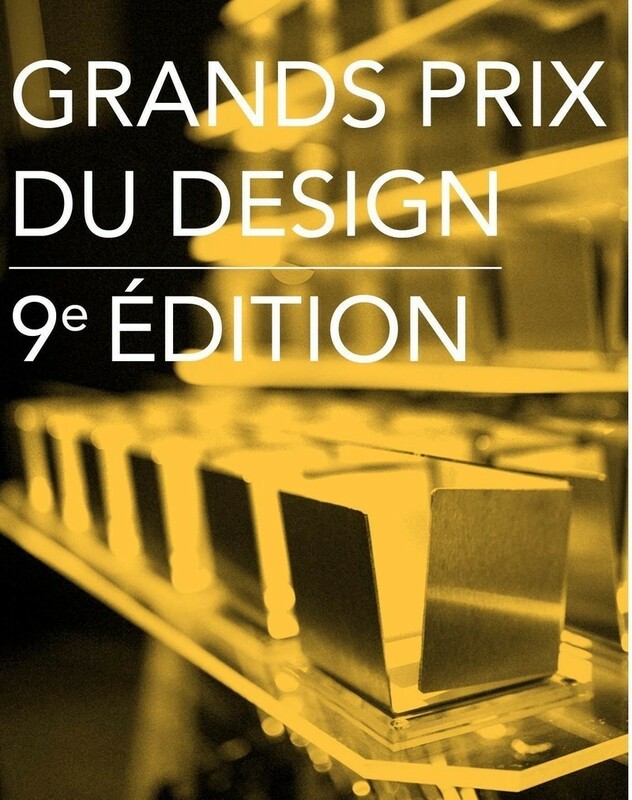 4 industrial designers participated in this Jury: Charles Godbout, Robert Katz, Tatjana Leblanc and Albert Leclerc. 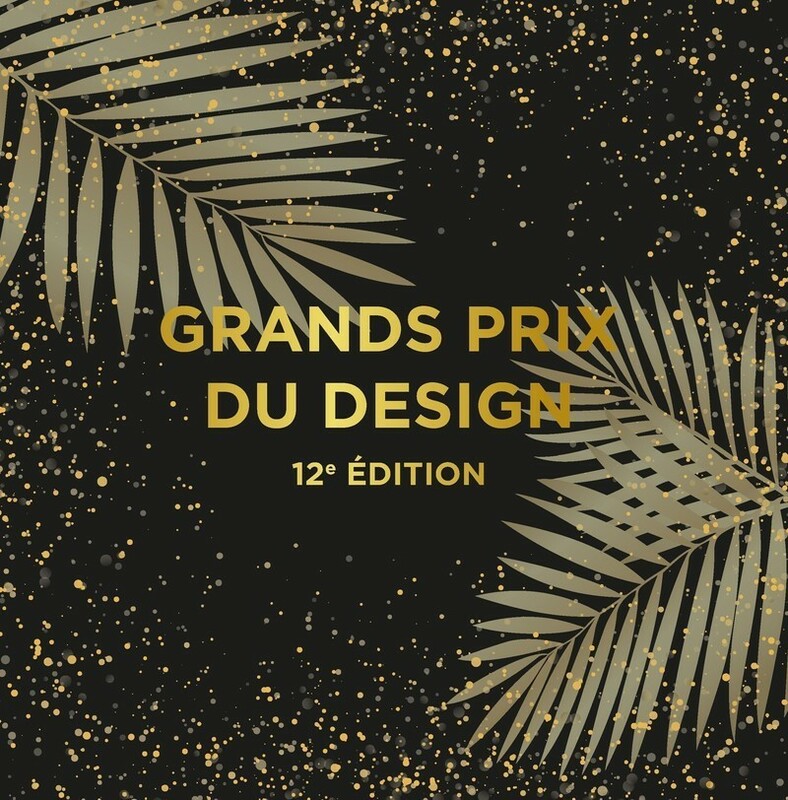 GRANDS PRIX DU DESIGN awards would like to thanks all the partners. Without them the celebration would not be possible. 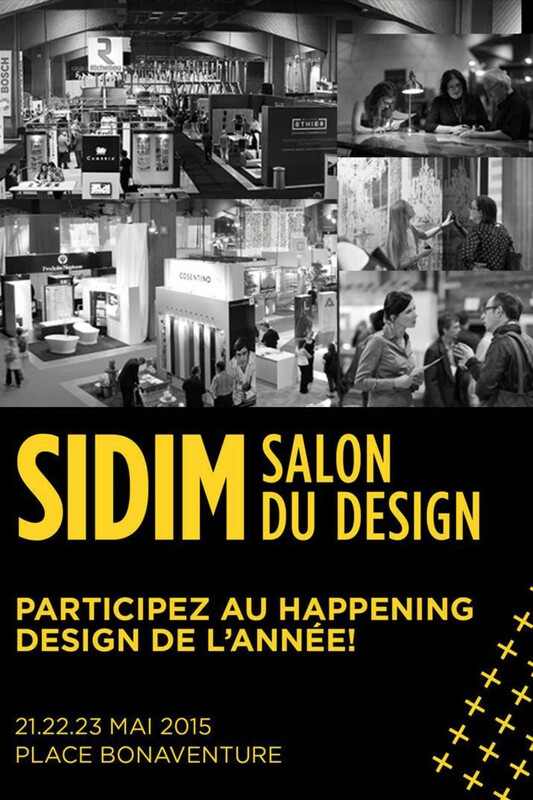 A special thank to: Meubles Re-No, Peinture Laurentide, Extenzo, Lamcom Technologies, cecobois, Plastruction, Gestion Redwood, Mille Construction, JURA, FERDIE, SIDIM and INTÉRIEURS. Among the winners, the firm Provencher Roy + Associés won the Project of the year award and the Public space award for the new pavilion of Montréal Museum of Fine Arts; the Jury Special award went to INPHO / Jean-Maxime Labrecque for Sculpture habitable, a condo in aluminium and wood. The company also won the Residential Space of 1,600 square feet or less. 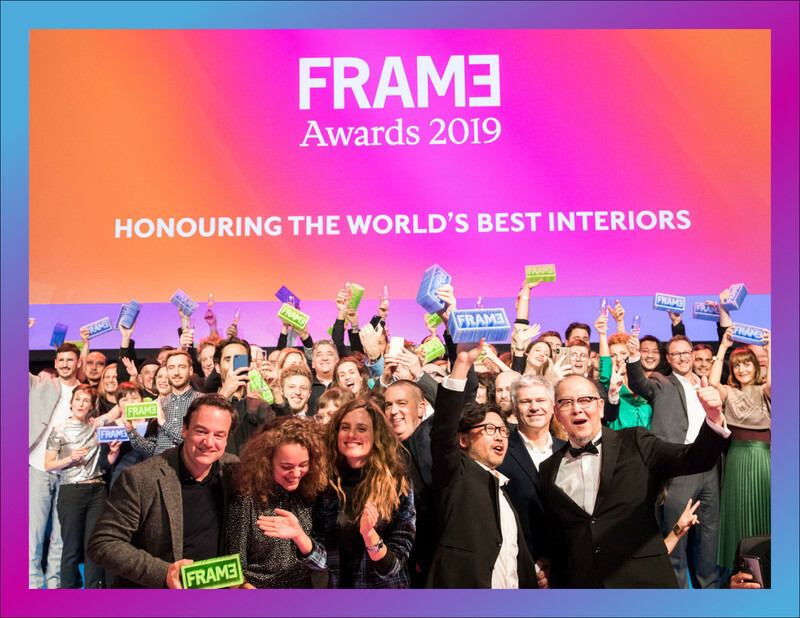 Anne Sophie Goneau received the New Talent award for the outfitting of Espace Le Moyne and Tuango; the Restaurant award ex-aequo went to Alain Carle Architecte and Cuong Tran for Cava, and to LA FIRME for Quai No4. The Tribute Award went to photographer Marc Cramer. The streamlined cubic work anchored to an imposing religious heritage reveals a deconstructed interior that highlights the different volumes from an exhibtion room to another. Provencher Roy + Associés managed to merge this patrimonial edifice with a new, decidedly contemporary building, while preserving architectural harmony with the urban surrounding of the museum. Provencher Roy + Associés sign an innovative and avant-garde work. 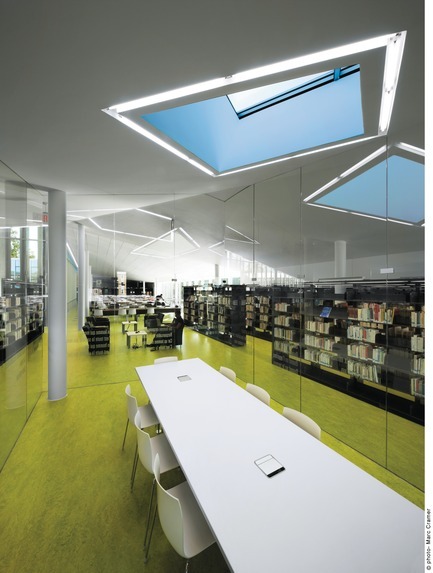 Impressed by the consistent answer of an architect-designer to his customer who'd like to create “a space people will find cold”, the Jury of the GRANDS PRIX DU DESIGN wanted to highlight the exceptional technical quality of the project, its international spatial rearrangement and the thoroughness of its execution. With its two projects submitted, Espace Le Moyneand Tuango Anne Sophie Goneau wins the new talent award. Espace Le Moyne, the refurbishing of a 1,600 square feet ground floor and basement located in Old Montreal, shows an impressive rigor. The young designer has chosen to emphasize her homage to the architectural memory of the place. The concerns about sustainability are reflected in Anne Sophie Goneau's work who has managed to master space with a great sensibility and an astonishing maturity. 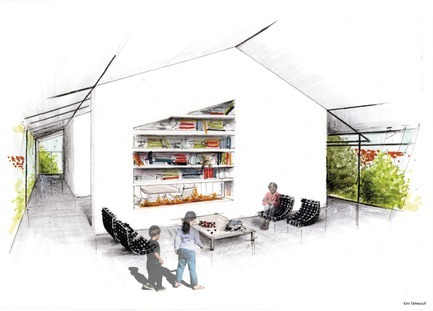 The creative project of this young undergraduate student in interior design at la Faculté de l'aménagement de l'Université de Montréal isSymbiose, a cooperative housing block that is intergeneration and ecological. The common spaces regrouped into a core zone should encourage interactions between people and enrich their mutual relations. Solar panels, recycled materials, greenhouse windows, roof terraces and other elements should contribute to a micro-self-sufficient society living in harmony. Humà design + architecture's project combines the advantage of urban life with nature's quiet. On the banks of the Lachine Canal, this sales office is comprised of a sales space and three typical units, including a manor house embedded in the black volume that marks the project identity in relation with the naval industrial architecture of the site. Second award for INPHO/Jean-Maxime Labrecque and the Sculpture habitable project. The architect-designer thought out a delicate multifunctional piece of furniture entirely of raw aluminium. The module complex harbours home conveniences. An innovative project fulfilled with style for an owner who loves minimalism. This year, the Jury awards two firms: Blouin Tardif Architecture • Environnement for its Saint-Vallier project and la SHED architecture for Maison Mentana. Blouin Tardif Architecture • Environnement has completed the transformation of a quadruplex, a typical example from the workers Petite-Patrie neighbourhood. This major spatial rearrangement of this quadruplex answers an urban family's functional needs while graciously blending in with its environment. 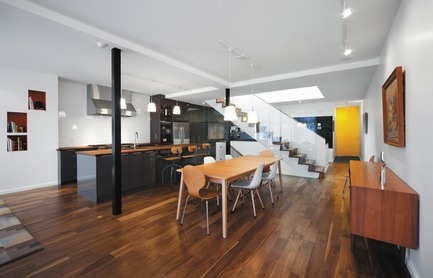 la SHED architecture has radically transformed a 100-year old Plateau Mont-Royal duplex into a single-family dwelling that is warm and well-thought out. The creator's sensible layout has resulted in a very pleasant space to live in, where the intimate connection between the common areas and inner courtyard, couple with ample fenestration, fits together into a cohesive and clearly defined structure. c3studio in collaboration with Espace cuisine recreate space. 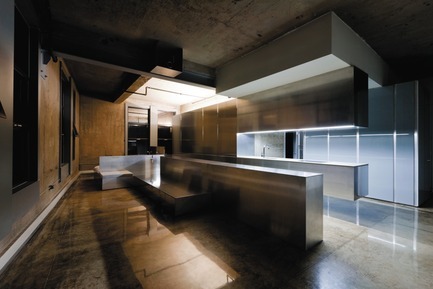 They have carved this kitchen like a monolithic sculpture, with two symmetrical volumes. 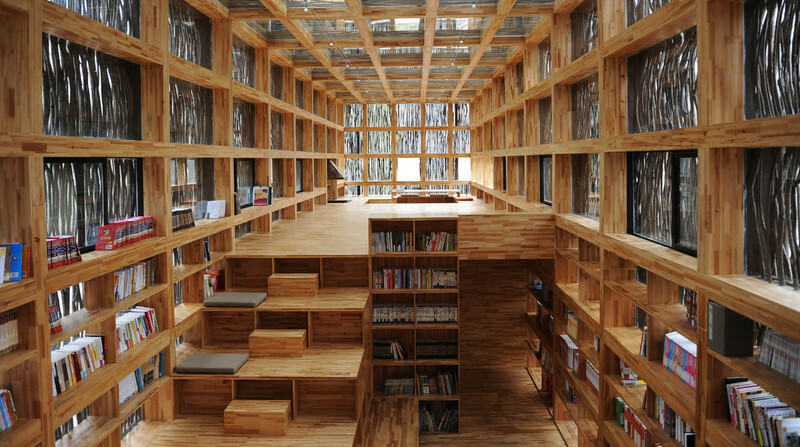 The result is a very open linear space where one circulates easily and naturally. The functional space provides generous work surfaces and incorporates all the needed equipment to fulfil the desire of a cuisine lover client. Atelier Moderno wins the award in this category. 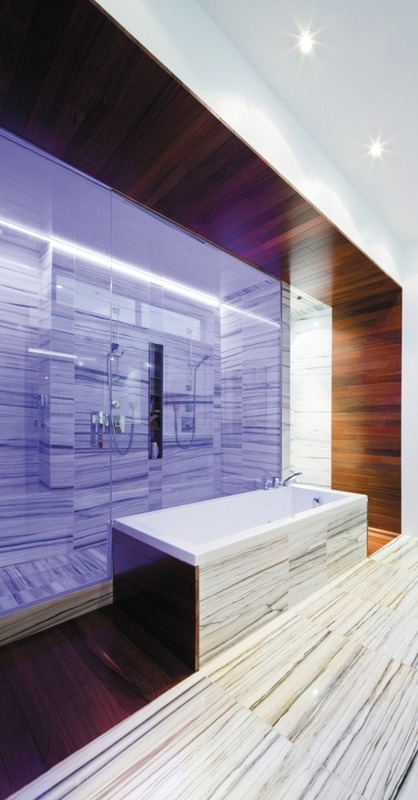 The firm has imagined two completely distinct bathrooms like the vibrant lifestyle of its owner. The main bathroom offers a large space whereas the other one is playful and festive. A daring bet that breaks regular bathrooms' rules. The terrace of Le Samuel stands out in this category. 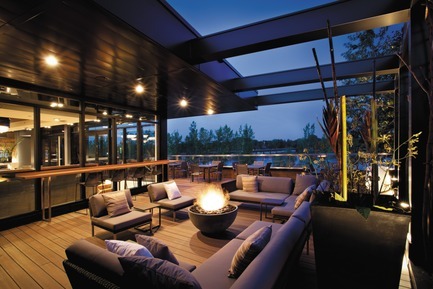 With a panoramic view on the Richelieu River, the terrace offers an open air lounge atmosphere. The excellent incorporation of lighting, an ingenious choice of materials, and a balance between interior and exterior make this project outstanding. Architect Gabriel Kakon has ably rendered his bold venture of a refined Swedish-inspired style. 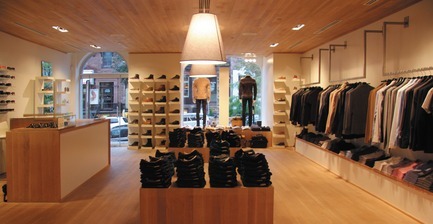 The project was obviously thought out and shaped within the specific store purpose perspective. The first impression is one of purity and refinement, in a space where white oak is ubiquitous. This rigorous project evokes masculinity with a Nordic flair. 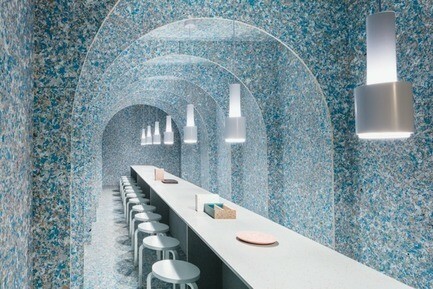 Saucier + Perrotte architects have transformed a former 1970's bank into a new showcase for contemporary fashion. The lighter structure of this store located on Laurier street enables a fully self-confident masculine design. 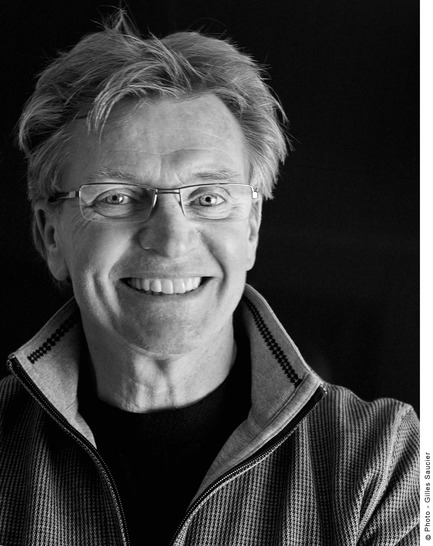 The graphic line alludes to Michel Brisson's corporate image and clientele. Rigor and consistency for a timeless look, a must like a tuxedo. This recent Ædifica project set in the core of Brooklyn is both a testament to the neighbourhood's industrial memory and artistic avant-garde spearheading. 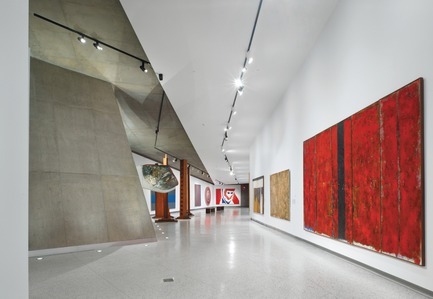 The design welcomes us into a streamlined, minimalist open space similar to an art gallery. 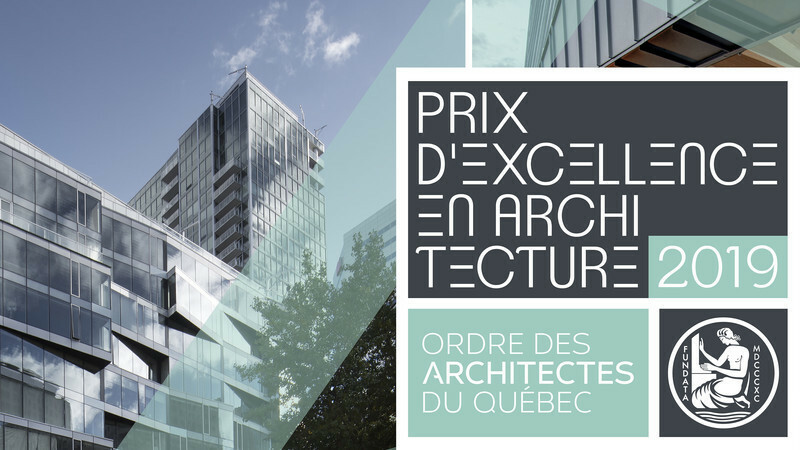 Alain Carle Architecte and Cuong Tran, and LA FIRME win the award ex-aequo. Lodged in a former Park Avenue bank, this new restaurant offers both open and more private sections, with a Mediterranean touch. With its meticulously shaped spaces and the overall sense of refinement, Cava restaurant is firmly rooted in the urban landscape. The interior design of Quai No 4, completed by LA FIRME, achieves an air noble dignity by using raw materials in a clever and unusual way, and by movingly yet subtly evoking ancient taverns and popular restaurants in this Rosemont historical neighbourhood. The new De farine et d’eau fraîche pastry shop is definitely like no other. 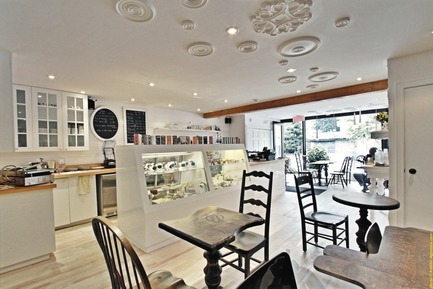 Located on Amherst Street, this café directly comes from fairy tales. When they thought out the new space, the Surface3 team had in mind to capture the essence of the art of pastry as well as the art of savouring it. Surface3 achieved an exceptional integration of the gastronomic with the aesthetic. 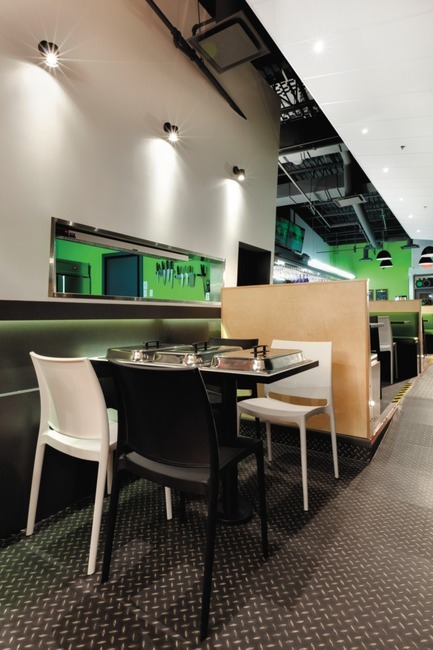 The Mall Champlain's materials and furniture were selected to enhance luminosity and make the whole project more congenial, creating the atmosphere of a trendy restaurant. With its simple approach, Pappas Design Studio has successfully transformed the Champlain Mall, revamping its image on top of making it a much more attractive place. 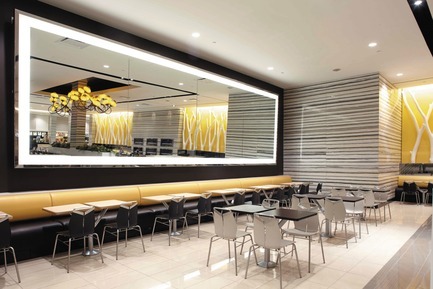 The main challenge was to recreate the soul of a 6,000 square feet restaurant in a 400 square feet stand. 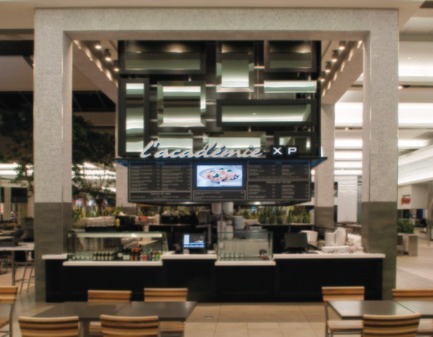 The chosen solution was to incorporate a few striking allusions to L'Académie's interior design in the new Mall restaurant concept. Mythical for its acoustics, Le Stereo Club has gotten more than a facelift. Reconstruction was done by In Camera which succeeded to retain the festive vibe of the premises while making optimal use of the space. 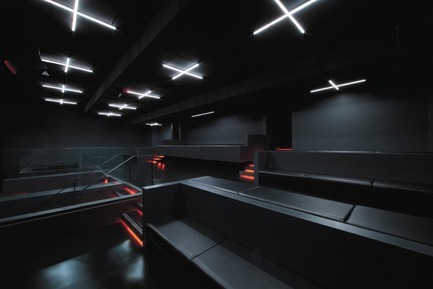 The space has been redesigned to foster the clubbers' fluid circulation and organized in micro-universes that reveal the various activities of a night out. A theater set with pure lines, modern and comfortable. The architecture fluidly alternates between transparency and opacity. Always looking for comfort, understated natural materials, soft hues and airy materials make public areas warm and intimate. 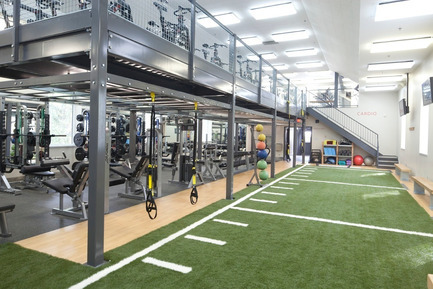 The plan consisted in converting one of the oldest Anglican churches of Montréal into a high-end sports training centre. The designer cleverly takes advantage of the internal volume of the church, including the ceiling height. 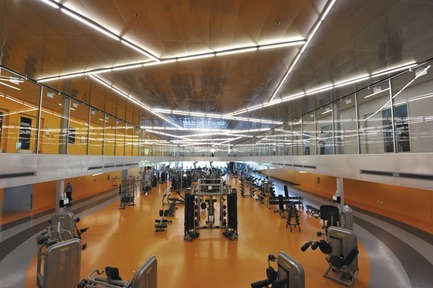 The whole development concept focuses on a multifunctional core set equipment. 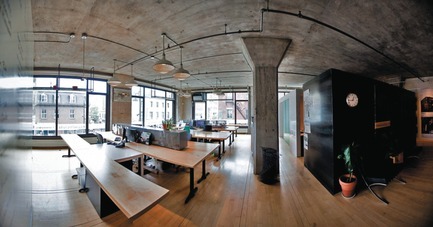 The space reveals four cubes that divide the company's various functions. The original functional cubes solution allowed the bare concrete structure to maintain itself, hence preserving the antique building's spirit. 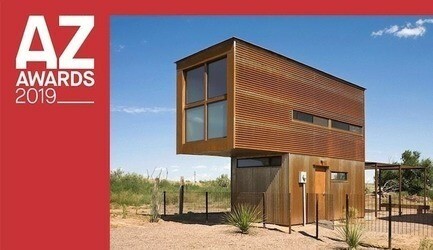 Both ID+S Design Solutions and Sid Lee Architecture and Fiction Factory win an award in this category. Some sophistication, lots of congeniality and several touches of humour, these are the main ingredients in the approach ID+S Design Solutions has adopted to design the executive floor of Astral. The objective was to create streamlined and dynamic spaces reflecting the company culture and adding enhanced values of comfort and openness. Located in an eccentric area with abundant street art in Amsterdam, Red Bull's new headquarters reveals original, trendy and exotic design. At the core of Sid Lee Architecture's approach to the project is the Red Bull philosophy that embraces the two opposite yet complementary facets of the human mind: reason and intuition. 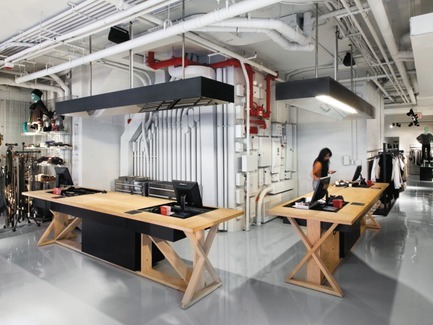 The ID+S designers have literally materialized the company's organizational model – the various zones making up the space appear like image captures, highlighting the culture of the multimedia industry, and creating a relaxed work environment that avoids spatial saturation. 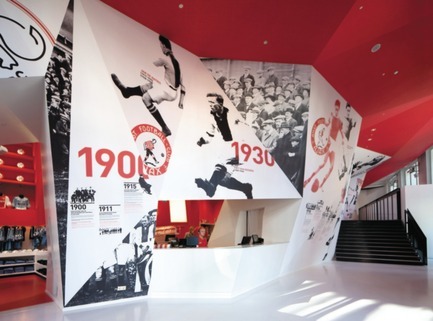 A sport complex that becomes a poetic space. The chosen materials and colours support the spatial dynamics enhanced by an especially innovative lighting concept. items to the interior design, a holistic approach, expressing quiet confidence and well-being in every detail. 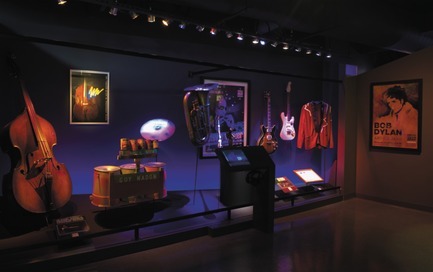 With a smart organization of space, scenic lighting and interesting volumes, objects and music notes guide visitors into a sensorial immersion in past shows; all in a quiet atmosphere. The firm wins its second award. The streamlined cubic work anchored to an imposing religious heritage reveals a deconstructed interior that highlights the different volumes from an exhibition room to another. Provencher Roy + Associés managed to merge this patrimonial edifice with a new, decidedly contemporary building, while preserving architectural harmony with the urban surrounding of the museum. Provencher Roy + Associés sign an innovative and avant-garde work. The Alban Chair goes beyond conceptual perspective. The focus is on polarities in form, context and materials. The form here is all curves and angles. The final result is the poetic aesthetic in a gesture that seems to seek out the essential. Create Office Platform delivers the promise of a clever concept allowing for multiple configurations. Jean Bourassa from Kaboum Design develops a system suited for customization, perfectly aligned with Three H's philosophy. 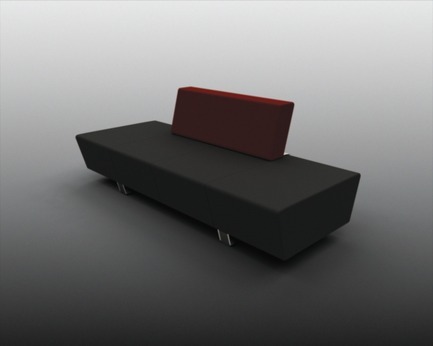 It offers a versatile furniture system that remains coherent in all its variants. 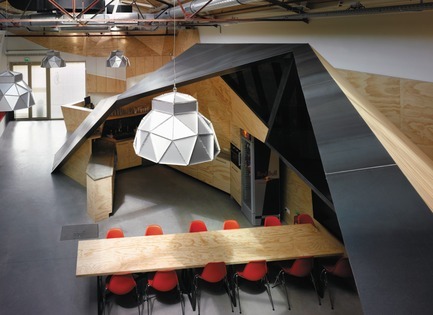 The Create Office Platform has been designed in an environmentally respectful way. The designer has delivered efficiency combined with striking simplicity. 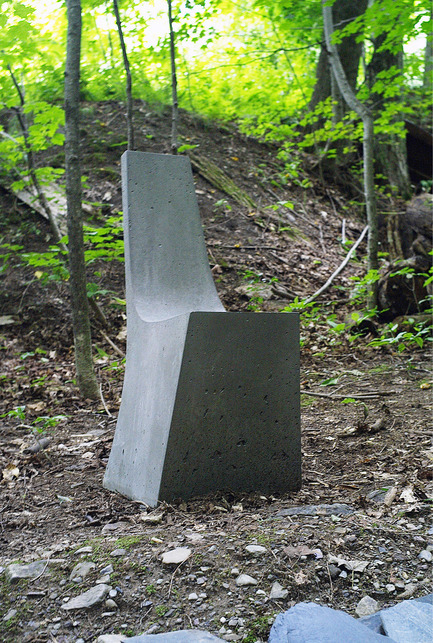 Michel Dallaire has opted for a monolithic shape allowing for various seating configurations. The modular backrest of the sofa, with an array of bright colours, adds an artsy touch. The result is an imaginative fusion of prestige and function. 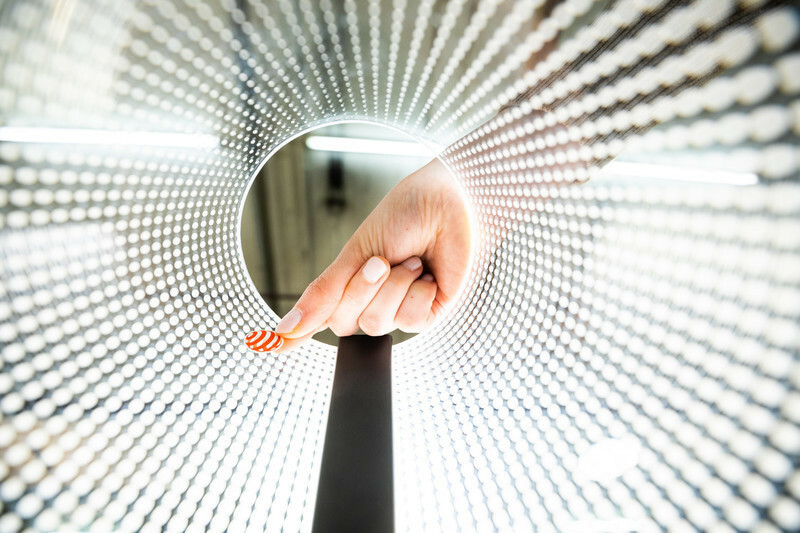 The concept developed by Morelli Designers takes advantage of the reduced thickness of a new LED casing to provide high-quality lighting. 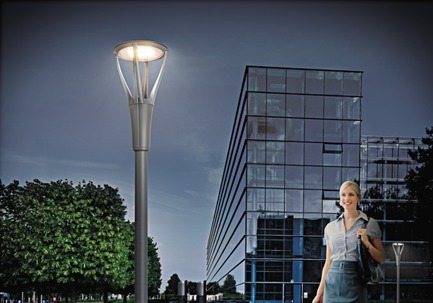 This product moves away from strictly technological aesthetics, giving way to more complex shapes making the street lamp suitable for various contexts. Sasseville dubs his work “a non-design”, since it is merely an evocation of the object's purpose, a rope with a knot at each end. 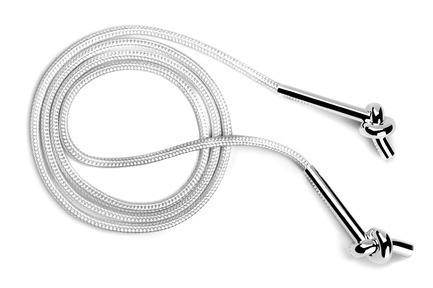 It could be the archetype of a skipping rope bringing nostalgic emotions. The designer goes beyond revisiting the form, by subverting the matter with silver handles. 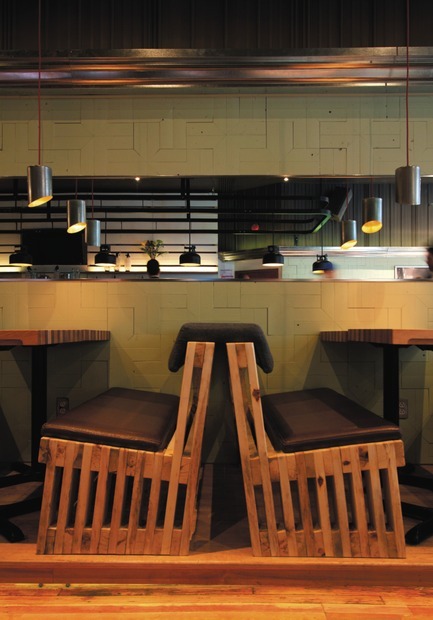 Morelli Designers have created here an uncommon environment with a striking set of joists further enhancing the daring concept. 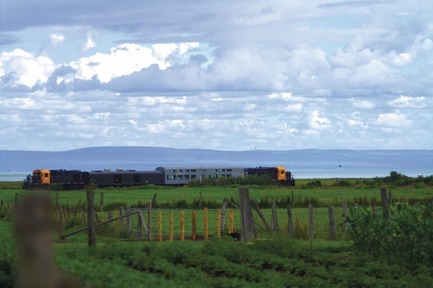 This journey offers an exceptional panoramic experience along the loveliest of the Saint Lawrence River bank landscapes. 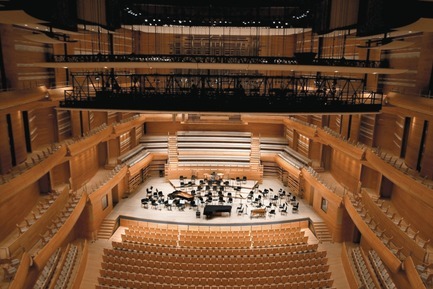 On top of exceptional acoustics, the new concert hall of Place des Arts offers a welcoming atmosphere. After a design signed by ÆDIFICA Architectes and DIAMOND & SCHMITT, the covering and sheathing were done by Planchers Dava. 200,000 square feet, beech taken from Gatineau area covers the walls, floors, staircases etc. Wood, a sustainable material, is central in the field of music for the resonance it provides. It is alive and organic like a musical instrument. 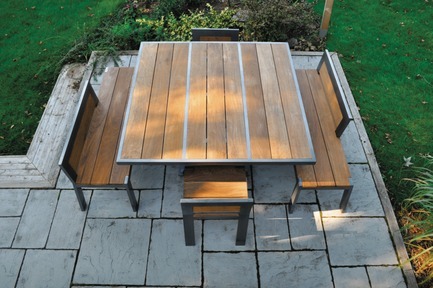 In a geometric allusion to classic Adirondack, neat lines and functionality devoid of contrivances allow the beauty and long-term durability of the materials to shine in their simplicity. The Jury unanimously affirmed that this is a beautiful creative project where the designer took on a true challenge in terms of outfitting with great sensitivity. 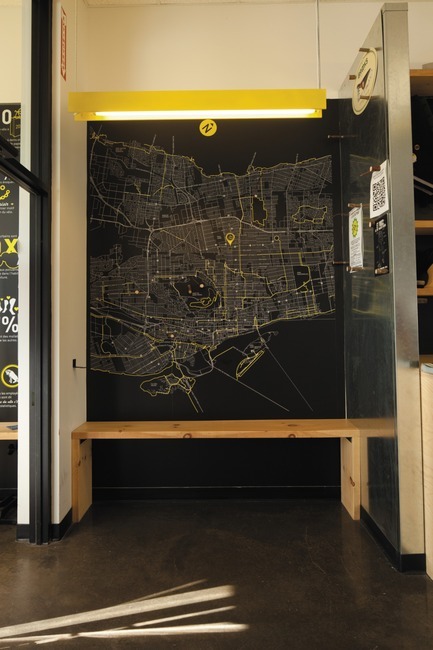 The idea was not only to transform the space into a functional commercial one, but also to offer bicycling lovers a powerful conceptual world. 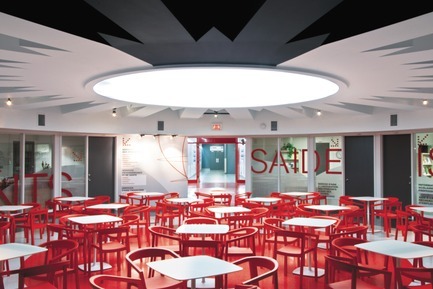 Thanks to a colourful, playful and dynamic architecture that perfectly fulfils pedagogical purposes; the AJAX experience becomes a unique immersive voyage. Fans and visitors will embark to a series of realistic interactive events that are a tad facetious at times, but always inspiring. The project is the overall staging of a truly active and constantly evolving student life. Several themes are evoked such as sports, the environment, and social and cultural activities. 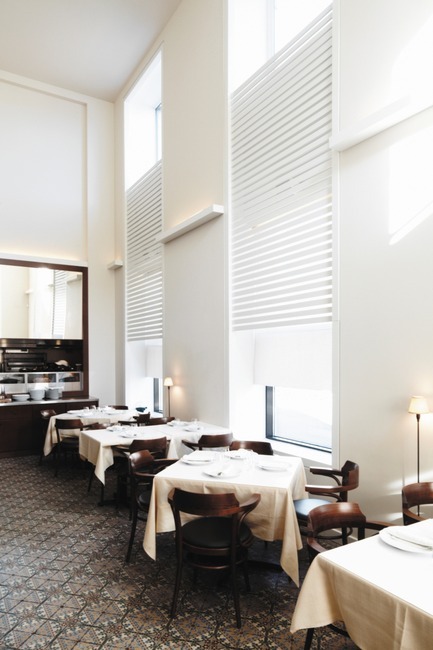 The restaurant displays an interior design that is the symbolic evocation of the world merging – that of blind persons and persons who can see – and the result is perfectly functional. 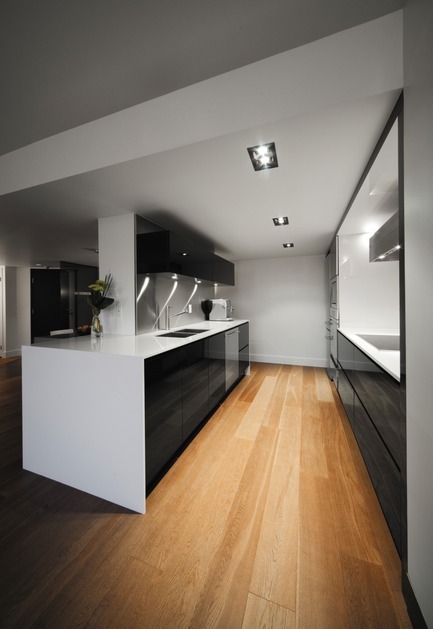 The design team had to think out a versatile space, as attractive in full light as in the dark. Tough the main colours are black and white; touches of bright colours maintain a bridge between the worlds of people who can see and those who can't. For this project, the building, which uses a geothermic system also, has a green roof whose complex geometry reflects the east-west course of the prevailing winds. 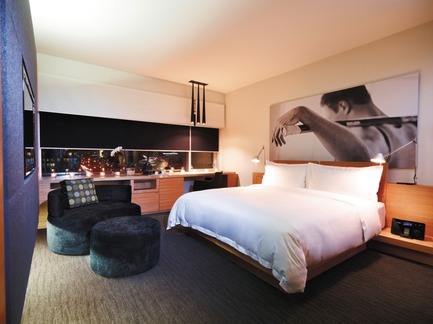 The premises are equipped with wide glass windows that generously let natural light in. The harmony between inside and outside is beautifully brought out. 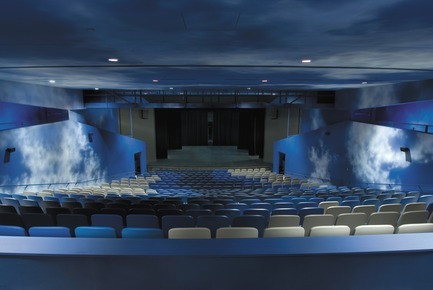 It is through the daring use of colour that they have given Salle Émile-Legault spectators an unexpected voyage of the senses where the interior design blends wonderfully with the performing arts. “The have designed a destabilising setting” would say the Jury. 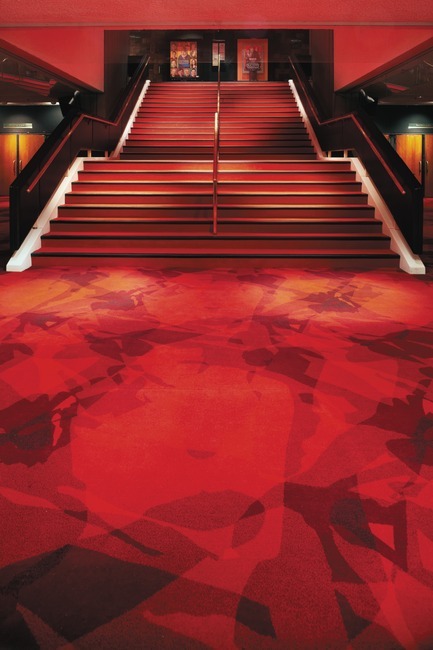 The patterns on the carpet represent shades of living crowd. Inspired by the venue, the architects have achieved a visual place, almost a painting. They have effectively transposed the sounds, movements and life of a typical show evening. It's an innovative approach to floor covering, with convincing results. The design concept is based on enhancing and providing democratic access to natural light, thus illuminating each work station. The display and use of light is well mastered. The result is clear, luminous, and remarkably fluid. 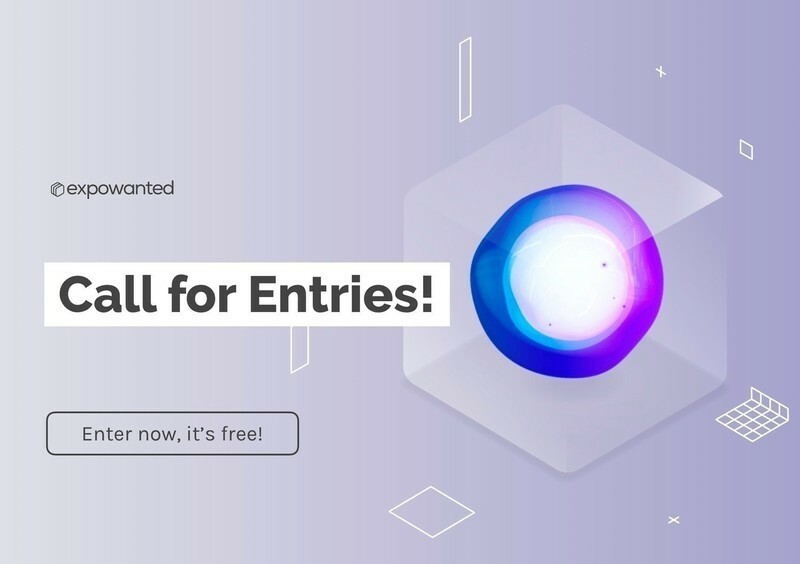 The designers have fully appropriated the space and developed a global architectural program combining multiple fields ranging from architecture to interior design, as well as technological arts and brand identity. 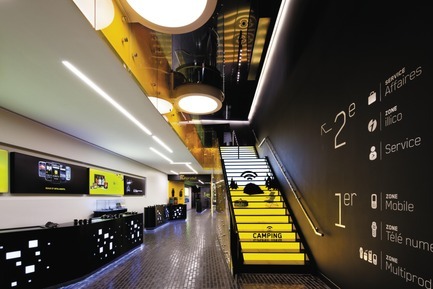 The result is a place with a strong personality that echoes the graphic guidelines of the Videotron brand.